For a time, bolts and nuts have served as an effective means of securing two items to eachother. A bolt and nut are simple to use and install. and when applied properly, they provide enough compression to hold components together. Fasteners like steel nuts and other nut fasteners come in a variety of sizes and materials. A nut fastener has a threaded hole. A bolt with compatible diameter and threading screws into this. Between the nuts and bolts lay the components that need to fastening together. These can fasten using a steel nut and bolt or other materials and type, depending on application. The most common shape of the nut in the bolt and nut combination in use today is hexagonal. Reason being, 6 sides provide for more angles of approach as well as granularity. A wide variety of bolts and nuts exist, depending on their exact usage. Following this, their designs also very widely to suit these applications. They are also used in a massive number of industries. These include everything from household hardware to complex and large-scale engineering. Steel nuts are the most used fastener going by material. Yet, many other types exist, used in their respective applications. For example, aluminium nuts are light, resistant to corrosion, and easy to manufacture. Stainless steel nuts are chemical and corrosion resistant. Additionally, they have an aesthetic finish. Nylon nuts are very tough with excellent pressure ratings. As far as fastening nuts and bolts go, non-locking bolts bond together to provide a locking action. To do so, two non-locking nuts tighten against each other on the same bolt. This locks them in place, providing a firm and secure fastening. Nut fasteners come in a large variety of different types, each suited to a range of purposes. A nyloc nut, also called a nylon-insert lock nut, is a nut fastener with a nylon insert. More importantly, it has a much higher compressive force than regular steel. The nylon insert is useful in preventing the nut from loosening. Thus, they are well suited to heavy duty applications. Dome nuts are fasteners with a large variety of uses. Generally, they incorporate a hexagonal shape, but with a domed top, as the name implies. The dome provides the bolt and nut with an aesthetic look. Threaded rods and machine screws use these as a cover. 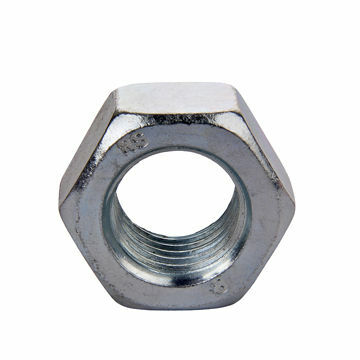 A coupling nut, as used in a bolts and nuts assembly, is a threaded fastener for connecting two male threads. 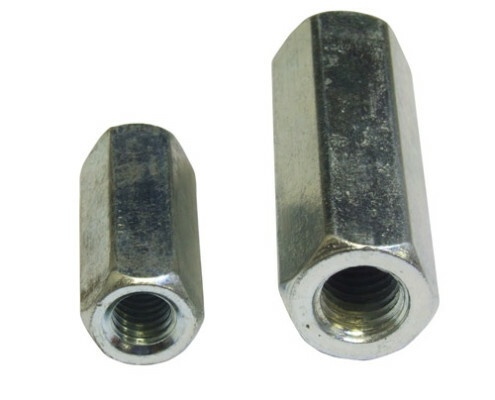 Also called an extension nut, it is usually used in conjunction with a threaded rod. Though pipes also use them. 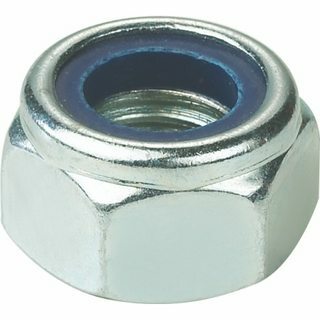 Wingnuts are steel nuts, or nuts of other materials. They consist of threaded holes with large metal “wings” situated on either side of it. Nuts of this design can be easily tightened and loosened by hand, without the need for tools. A cage nut comprises a steel nut in a metal spring cage that wraps around the nut itself. Two wings then allow the cage nut to insert into square holes when compressed. 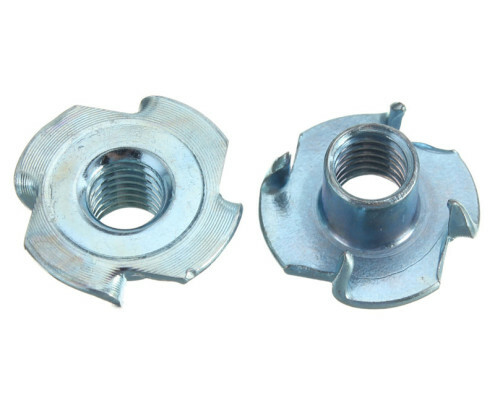 These nuts are useful in the construction of certain shelves and racks. When fastening nuts and bolts, square nuts have advantages over other types. For one, the four-sided shape makes square nuts easier to tighten than hexagonal nuts. Additionally, square nuts are an excellent choice for tight locations. This is especially true if pliers and wrenches can grip them. A T-nut, or tee nut, is one of the nut fasteners used in securing wood and particle components. The nut design allows it to sit flush with the surface. The nut has serrated edges that dig into the surface, providing better compression. Used in fastening wood, an insert nut provides a threaded socket. Other screws then insert into this as needed. This nut fastener inserts into a pre-drilled hole. Screw Distributors are suppliers of high-quality products. Of these include a range of different nuts for different applications. We dedicate ourselves towards providing our customers with the best possible service.